The study is basically an analytical study in nature which helped me to know the security deposit settlement at the termination of contracts, to learn about the payment process towards monthly rents through agreements. It also helps me to know about the terms and the incremental circles between the lessor and lessee according to the validity period. Cadbury dairy milk is flagship brand aiming to replace traditional gifting options like sweets and dry-fruits. The consumer’s desire based on the survey was Cadbury should bring out new products for health conscious people like chocolate that contains less sugar. To obtain a challenging position in a dynamic organization and be an integral part of growth oriented company. To utilize and grow my analytical, research and technical skills in your esteem organization. MBA (Finance & HR), Udaya School Of Engineering, Vellamodi. A study on “Attrition analysis of employees in Indroyal Furniture”. ✓ Basic knowledge of Computer Applications, MS Office & Internet. I’m very adjustable person and work under any circumstances. I’m duty bond to abide the rules and regulations of the company act. My principality is always being before time to attain my assignments and appointments. I’m honest to my conscious and abide to my consign. I would like to contribute to creativity and abide by instruction and routines. I hereby declare that the above statements given by me are true to the best of my knowledge and belief. Operating Systems : Windows XP, Windows 7, Windows 8, Linux. Programming Languages : C, C++, Java. Database tools : MySQL, Microsoft SQL Server. Softwares worked on : NetBeans, Microsoft Visual Studio 2009. Inplant training : One Yes Technologies, Chennai. Industrial Visit	: Infosys, Trivandrum. “Data Transfer in Mobile Wireless Sensor Network” - International Level Conference at DMI Engineering College, Aralvaimozhi. Participated in National Workshop on “Cyber Security and Cyber Forensics” at Noorul Islam University, Thuckalay. 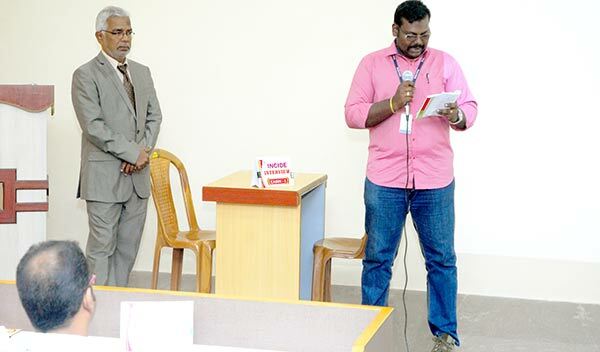 Participated in Workshop on “Designing Web, Poster and Multimedia” at Ponjesly college of Engineering , Nagercoil. Participated in Workshop on “Cloud Computing” at Ponjesly college of Engineering , Nagercoil. Participated in Workshop on “Emerging Trends in Information Technology” at Ponjesly college of Engineering , Nagercoil. To work for an organization that strongly demands my competence for fulfilling the prime objective of the organization. Good Inter personal and organizational skills, adaptability to change, ability to handle pressure, creative and Positive thinking. Arrangement of Voice Control of Motors. Suzlon Gujarat Wid Park Ltd.
Automative Coaching & Components Ltd.
To obtain a long-term career with an organization which has a strong background that provides good opportunity for enhancement of professional and personal status. Languages Known: English and Tamil. MS Office: MS Word, MS Excel, MS Power Point. 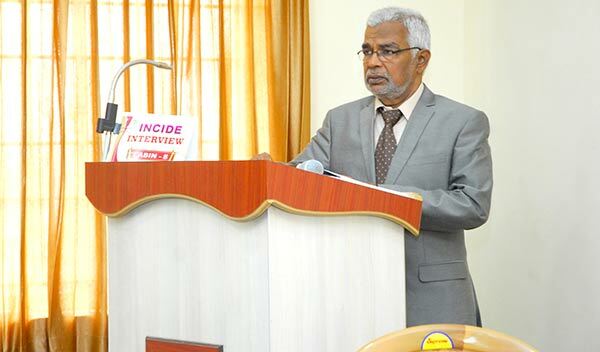 Worked as a Lecturer in Loyola Institute of Technology and science from MAR’10 to July’11 at Thovalai, Trinelveli Dist. Final Project : “Packet Marking Scheme for IP Traceback to overcome DDOS attack”. School Pupil Leader for two Years in the School Life. Got many Prizes and Certificates in Singing Competition from School till College life. Served as an Under Officer in NSS during School Life.